The 4 1/2″ One Hand Trekker offers all the essentials needed by the do-it-yourselfer or the outdoor enthusiast. Featuring 12 implements including a one-hand locking blade. 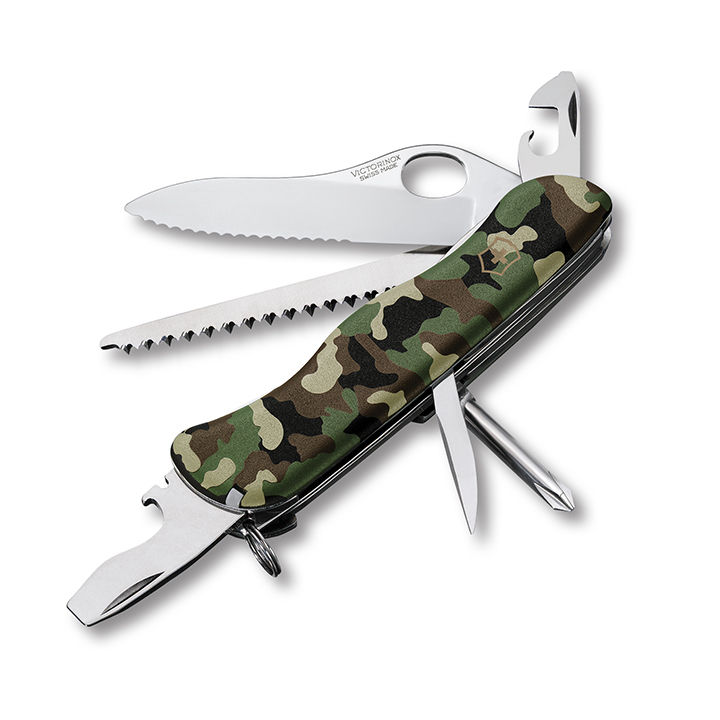 Like all Swiss Army Knives, the One Hand Trekker has a lifetime warranty, stainless steel implements and Swiss-made quality and durability. Note: This knife #54877 used to be known as the Trailmaster but the name was changed to the current Trekker by Victorinox.